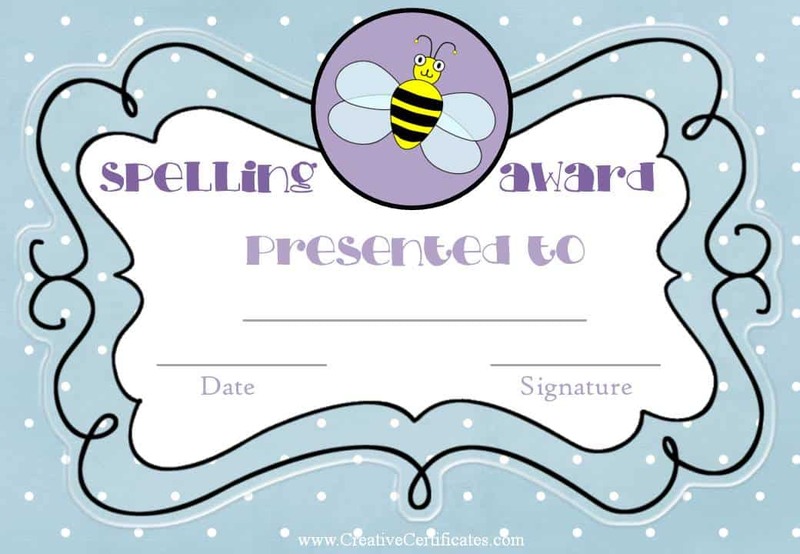 The following spelling award certificate templates can be used by teachers for spelling bees or to award students for spelling achievements. 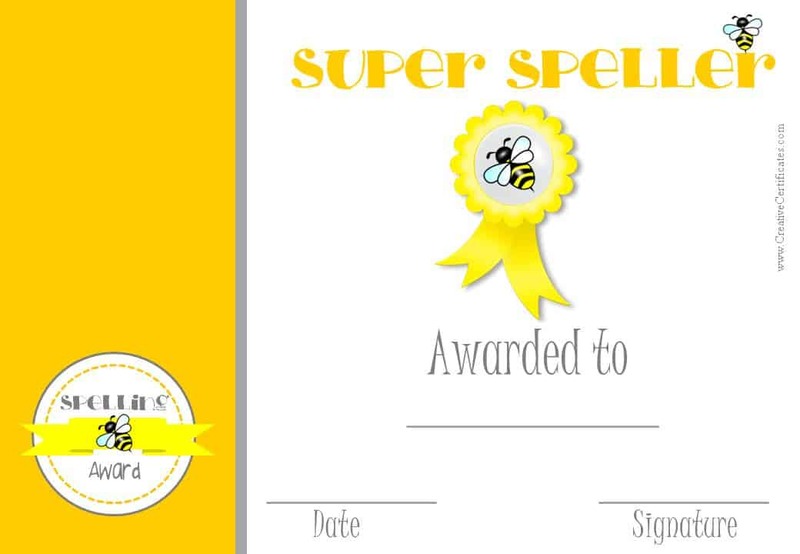 Most of the spelling certificates are in color but there is a black and white version too. 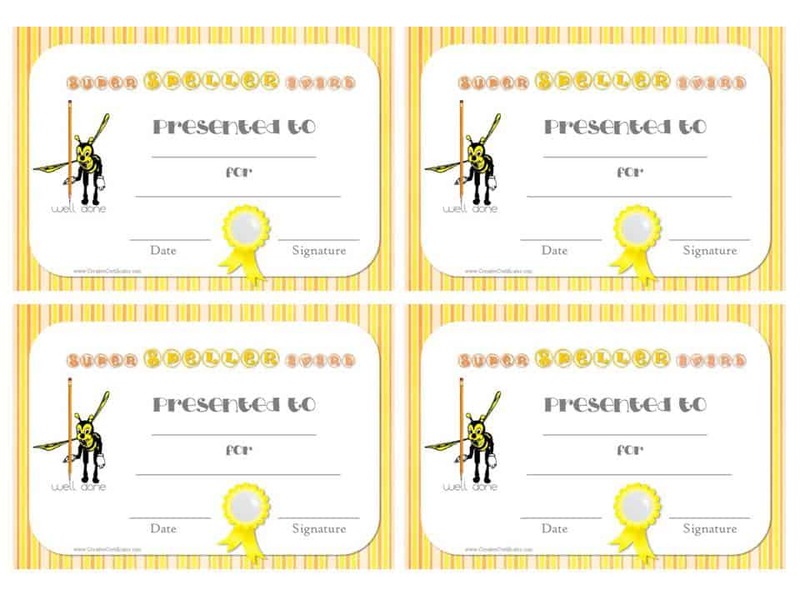 If you want to save paper and ink then you can use the smaller version which has 4 certificates per page. 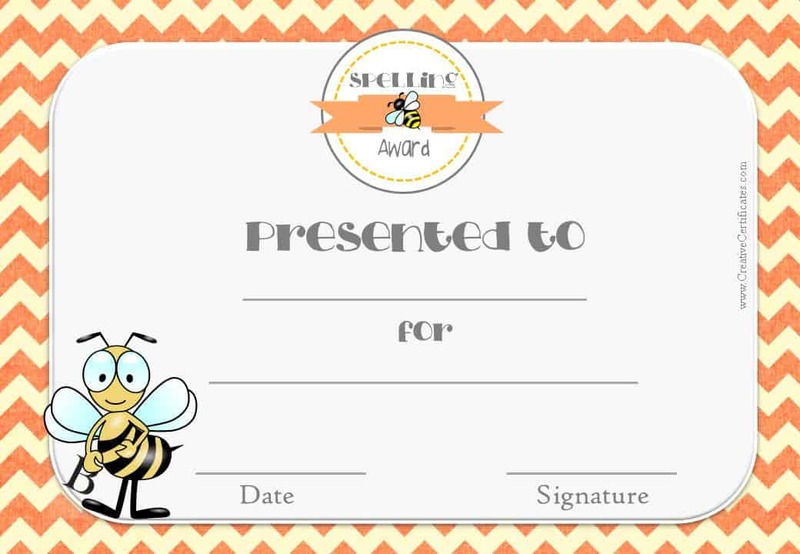 If you don’t want to edit the awards then just click on the certificate of your choice and an image file will open. 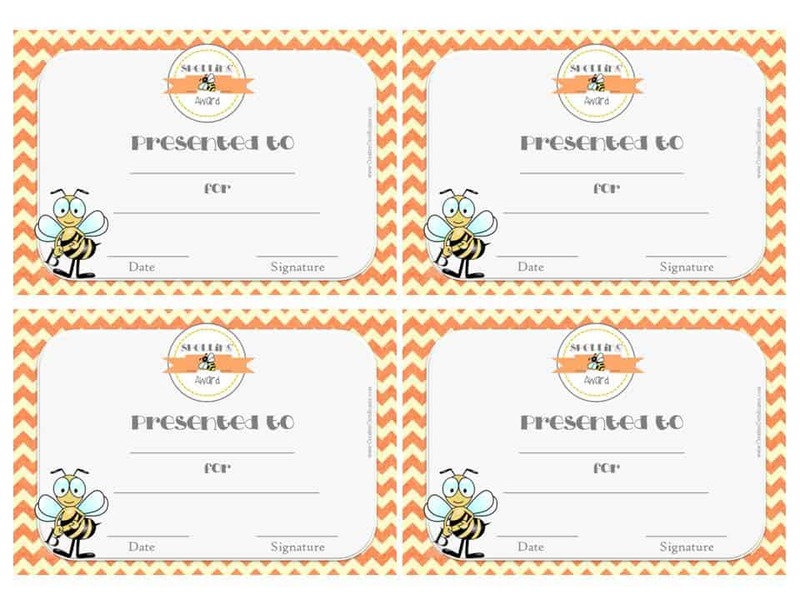 You can print it (by going to file->edit->print) or save it on your computer. 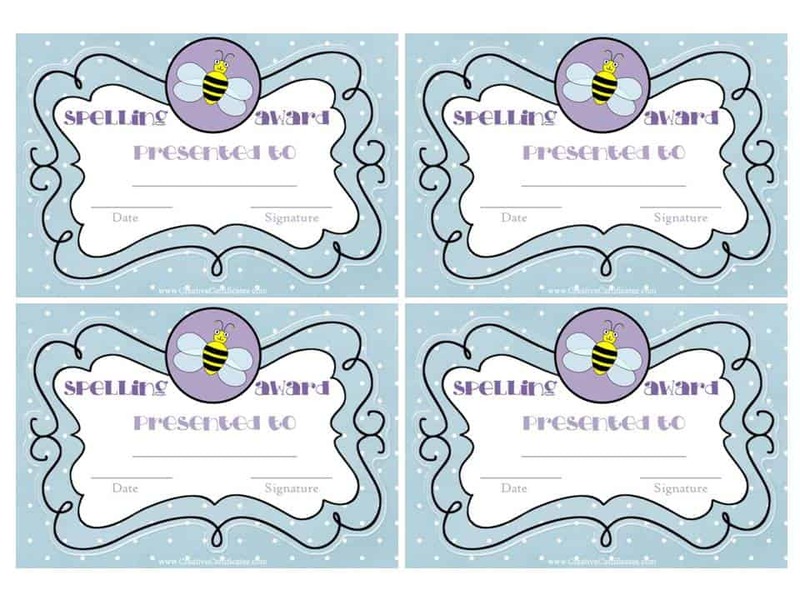 Each certificate can be edited with Microsoft Powerpoint or with our free online certificate maker. 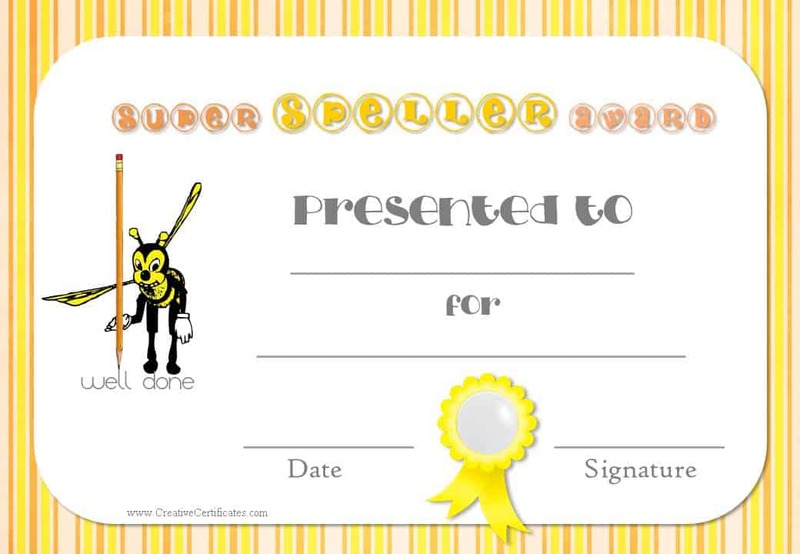 Click on the “editable version”. 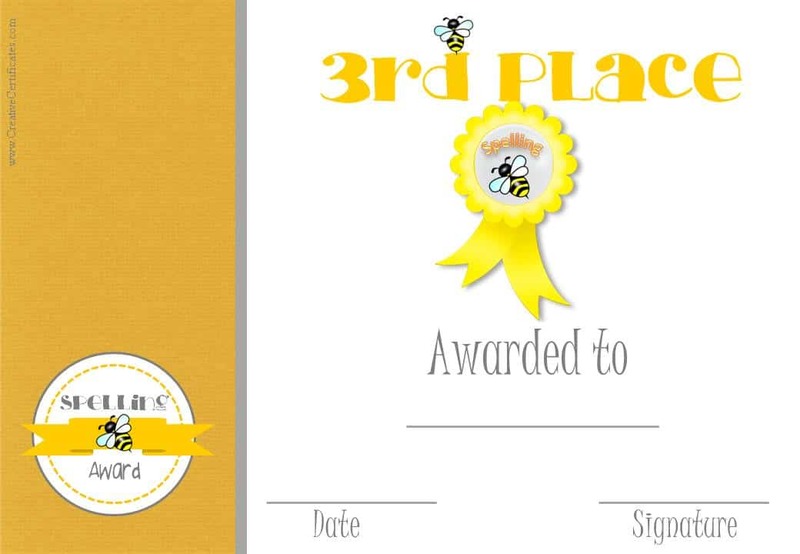 You will need to use either Microsoft Powerpoint or the free program called Open Office Impress (if you don’t have it you can download it here). Open the award certificate using either of these two programs. 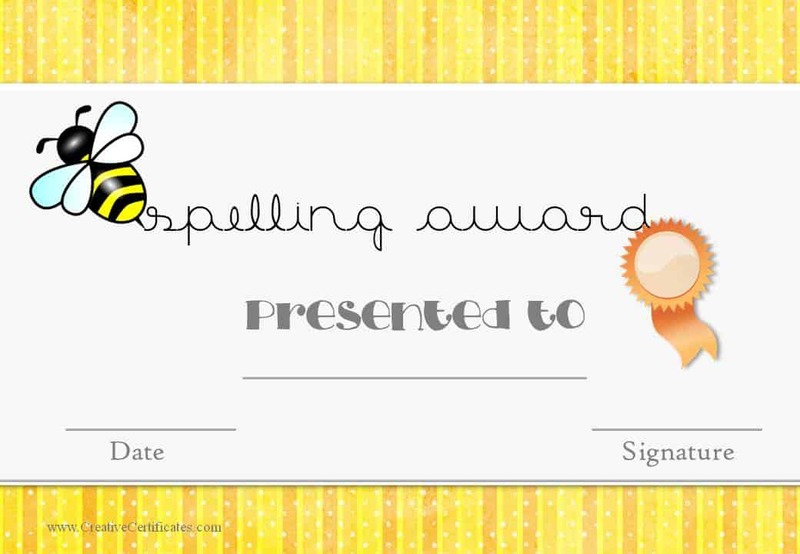 Type your own text. Change the font style or size (if you want). 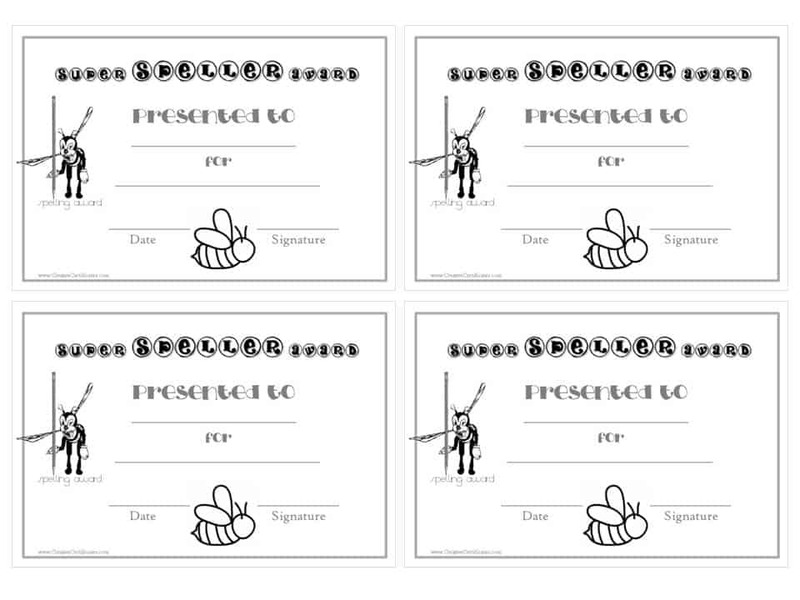 If there are sections that you do not want to fill in (such as the signature which you might prefer to sign and not type) then erase the text that appears otherwise it will show on the printed version. 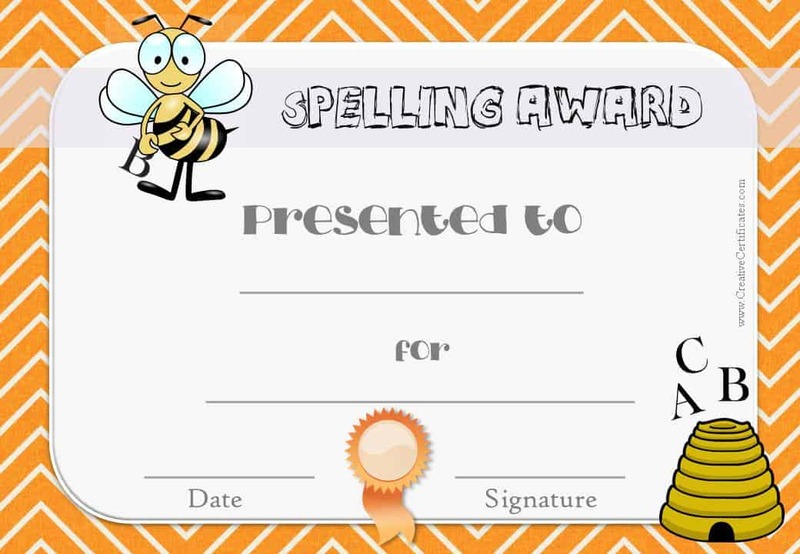 You can save the certificate and edit it again in the future. 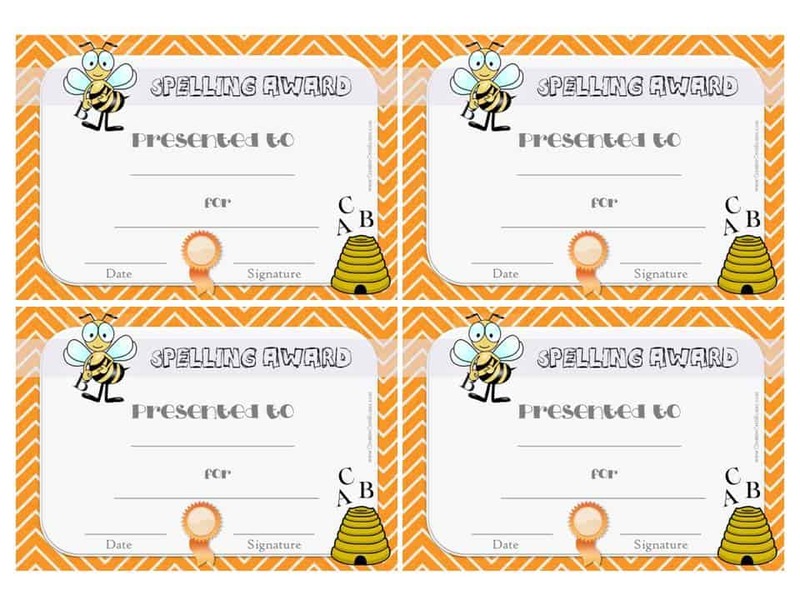 You can also print it by going to file -> edit -> print. Select the certificate template that you want to use. 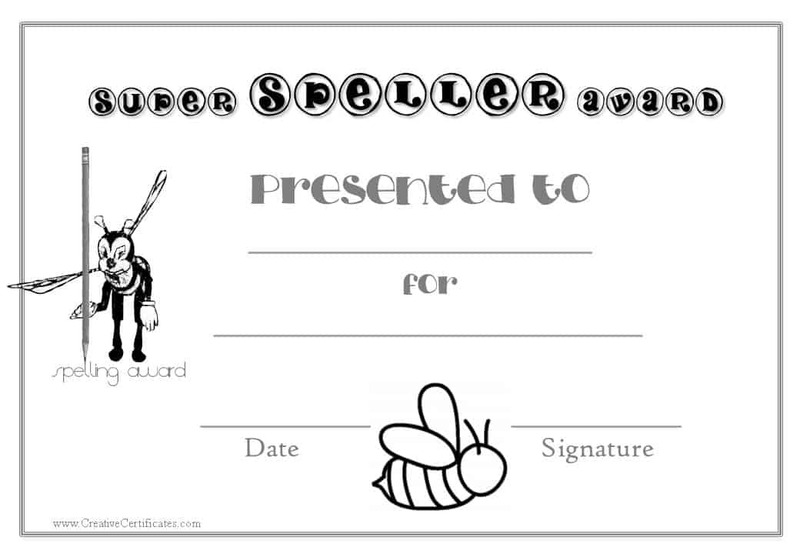 Click on “customize” and the certificate maker will open. 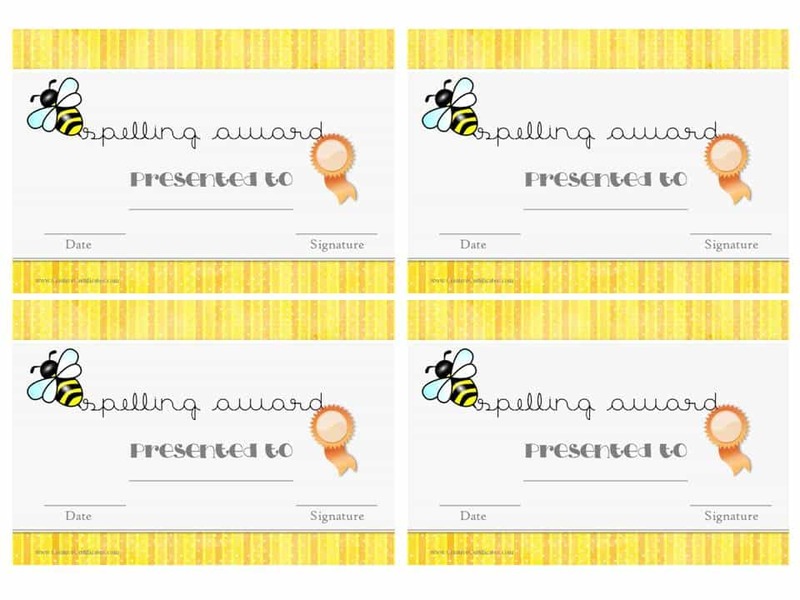 Holding a spelling bee encourages students to learn to spell in an exciting environment. 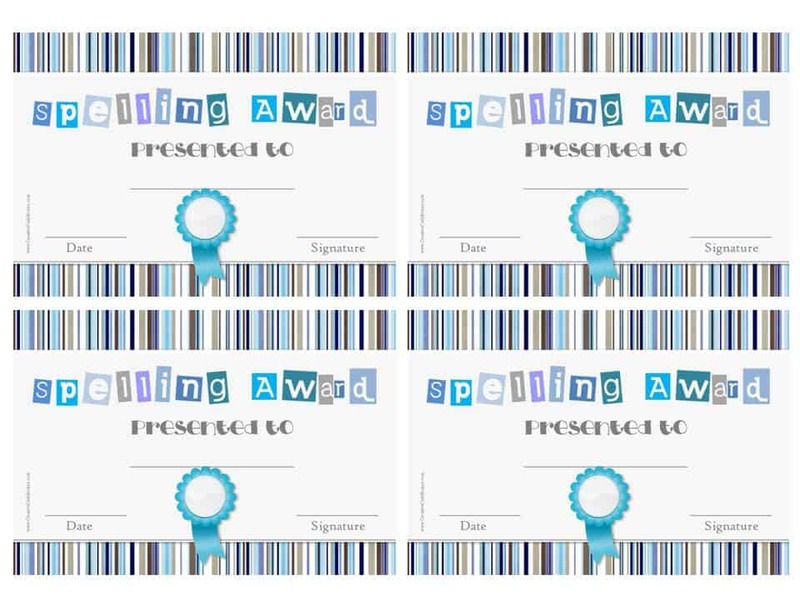 The certificates can be used to recognize both academic effort and success related to spelling.